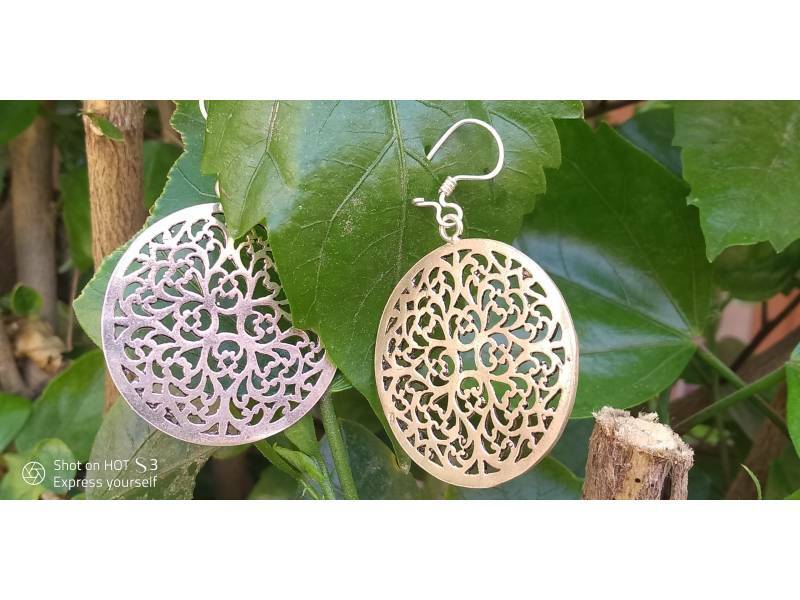 All earring made by Mohamed are made with 100% silver and are made to last. These romantic dangles are a playful and unique addition to your jewelry collection. 793Dh: This price includes shipping within Morocco. To order, e-mail us at hello@theanou.com and we will help you with payment options. 793Dh: Le prix inclut la livraison au Maroc. Pour passer commande envoyez nous un message à l'adresse hello@theanou.com et nous vous présenterons les différentes options de paiement. Want to visit Mohamed El Asri in person? The cost is $10 USD per person, all of which is donated to the cooperative. Visits include tea, snacks and work demonstrations! Fill out the form below and we'll send you additional details and payment options when artisans confirm your time. 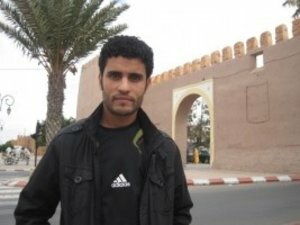 Mohamed was born around Essaouira in 1988. Around the 6th grade, he dropped out of school. In 2008 he moved ... show more Mohamed was born around Essaouira in 1988. Around the 6th grade, he dropped out of school. 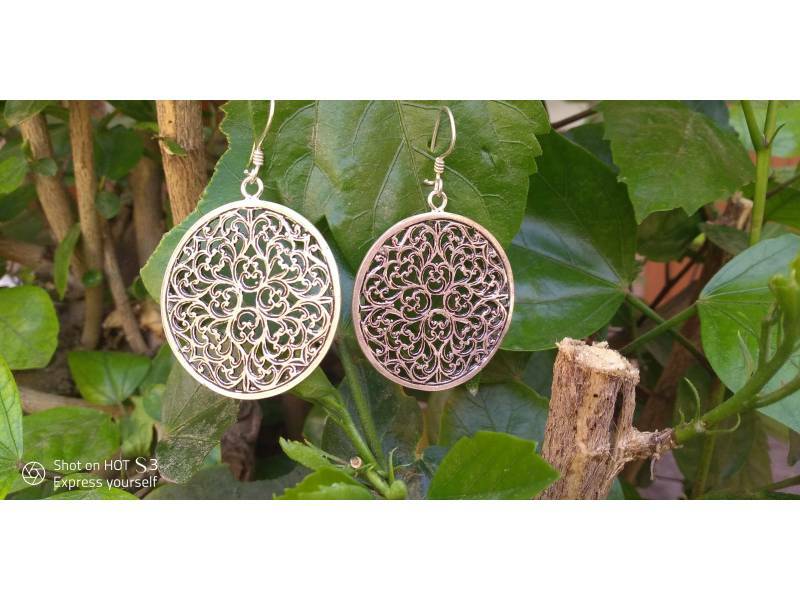 In 2008 he moved to Tiznit, a town famous for its silverwork approximately 100 kilometers from Agadir, to work in his cousin's workshop. 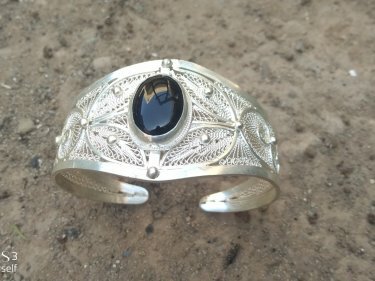 Once he began working with silver his passion grew and under his cousin's guidance he became a very created and talented silversmith. 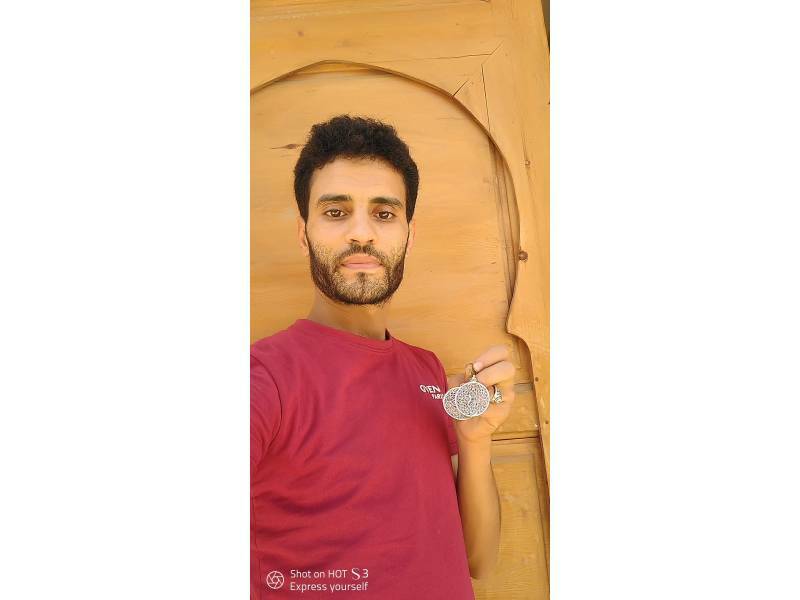 Mohamed makes silver jewelry for both men and women and ensures that each product respects the cultural traditions of Tiznit silverwork. His talent and quality of work has enabled him to participate in many national handicraft fairs. 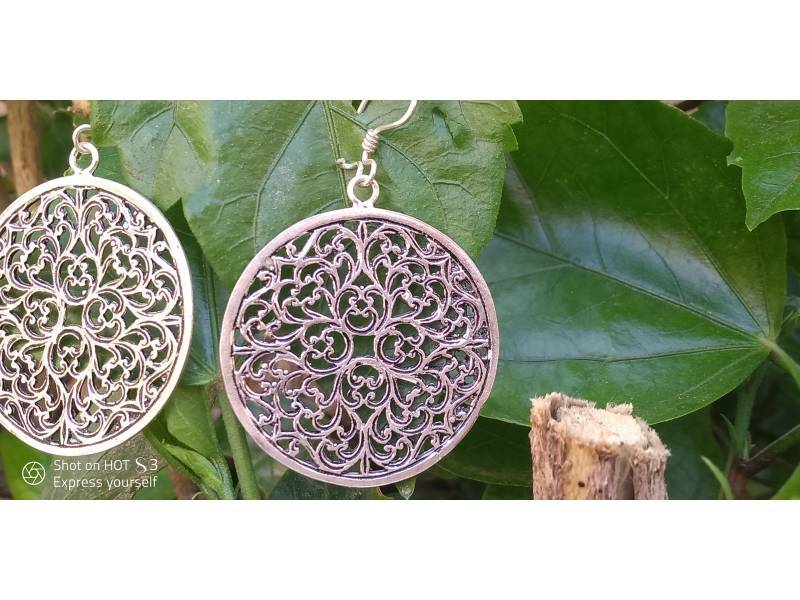 The silver used in this item comes from the famous silversmith town of Tiznit. 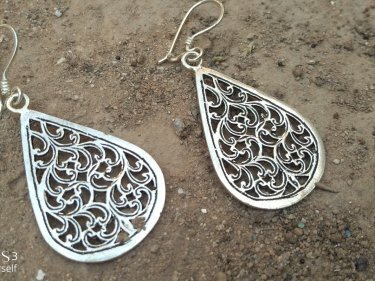 The ... show more The silver used in this item comes from the famous silversmith town of Tiznit. 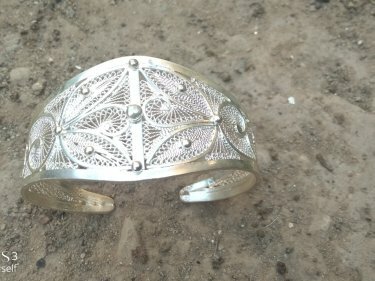 The history of silver in Tiznit dates to the 1800 when a group of Jewish silversmiths set up shop within Tiznit's fortified wall. 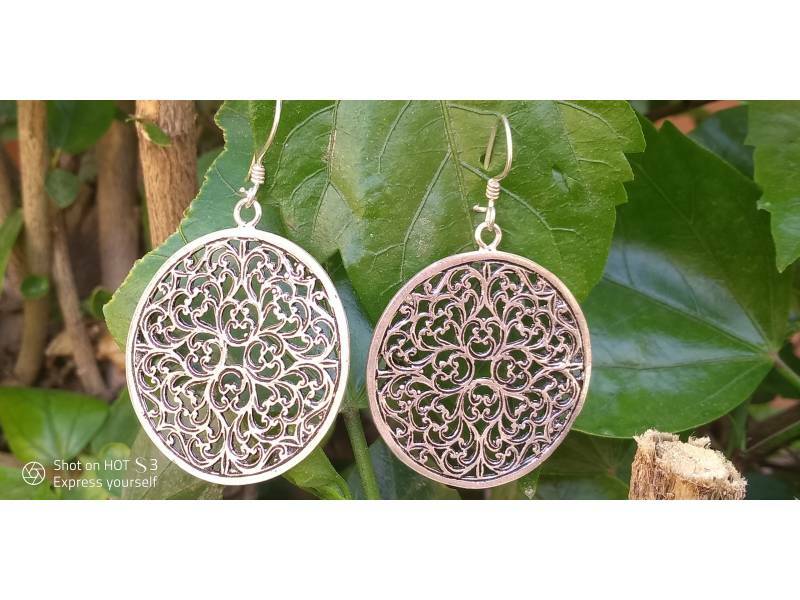 The quality of silver is known as German silver, which has a millesimal fineness of 800. Mohamed used an assortment of forceps to connect smaller parts to the main product. Sturdy, industrial scissors are used to cut the silver. The silversmith uses the cutting torch to heat and connect silver pieces together.